United Country Real Estate | Blue Ridge Land and Auction can help you find the land for sale, homes, farms, waterfront property and more throughout all parts of the New River Valley including Christiansburg VA, Blacksburg VA, Radford VA, Floyd VA, Pulaski VA, Giles VA, and Dublin VA. Contact our office today so we can work with you to accomplish your goals. 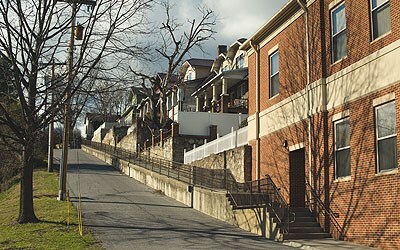 The New River Valley features economic growth as well as first-rate services. Montgomery County’s pro-business environment features technology-based companies, advanced manufacturing and software development to name a few. Virginia Polytechnic Institute and State University is one of six senior military colleges in the country. 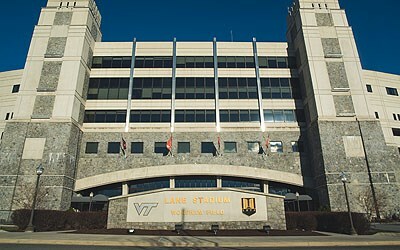 Virginia Tech offers 225 undergraduate/graduate programs and manages a research portfolio of more than $500 million. Radford University and New River Community College, among numerous others, also provide higher education. Carilion New River Valley Medical Center features a modern hospital facility, emergency department, two heliports and a psychiatric/behavioral clinic. Patients are treated by more than 50 medical specialists. Montgomery Regional Hospital is certified as a Level III trauma center. The New River is one of the oldest rivers in the world. The river flows 337 miles through the Appalachian Mountains. New River Trail State Park is Virginia’s longest linear state park. Claytor Lake State Park is ideal for boating, camping, hiking and more with 4,500 acres of lake. Huckleberry Trail is a 7-mile trail connecting Christiansburg to Blacksburg, VA. Auburn Hills Golf Course is carved into the rolling landscape of the Blue Ridge Mountains offering 18 holes and breathtaking views. Christiansburg, VA features an aquatic center and parks for outdoor leisure. Montgomery Museum, Lewis Miller Art Center and Cambria Train Depot are among the unique attractions. Annual celebrations in the area include the Wilderness Trail Festival, Heritage Day and the Food Truck Rodeo. Measurable precipitation occurs on 81 days out of the year for an average of 40 inches of rain and 24 inches of snow annually. Sunshine is abundant on more than 200 days yearly. Weather in Southwest Virginia is classified as humid subtropical. European settlers discovered the New River in 1671. This area was initially inhabited by Shawnee as well as other Native American tribes. Christiansburg, VA experienced significant growth in the early 1800s and by the 1900s developed into a regional hub with banking, telephone service and a newspaper.